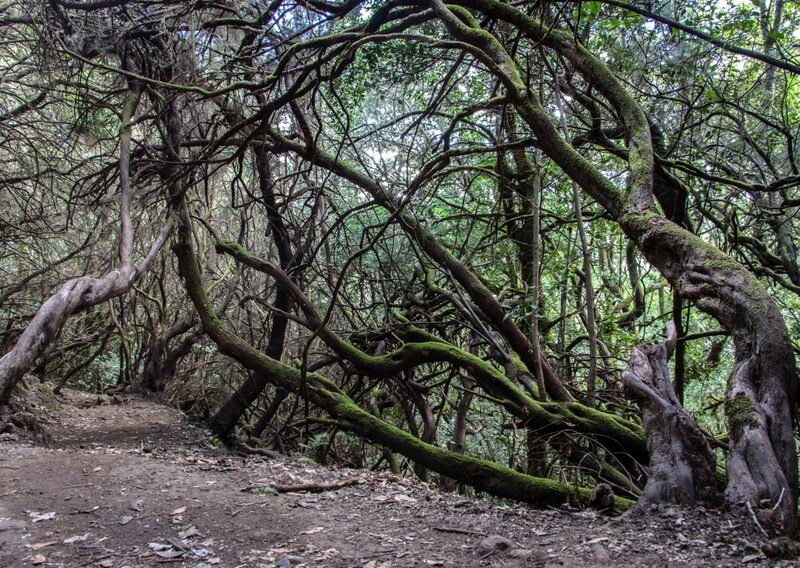 Gran Ruta 18 is the longest trail in the Garajonay National Park in La Gomera, Canary Islands. It’s a circular trail going from El Cedro (800m) to Alto de Garajonay (1529m), the highest mountain of the island. It goes through many ecosystems including the very fine example of laurisilva, beautiful subtropical forest humid like a Finnish sauna. I started this walk on the early Three Kings morning in El Cedro, where is the only campsite of La Gomera. It’s well hidden in the valley with really good food and mixed open showers so everyone can see your hairy body. Anyway – firstly, you gotta go up along the road to Reventón Oscuro from where the trail continues mostly on the left side of the road. I know it’s very tempting to simply follow the main road and don’t bother with the trail’s ups and downs just next to it but there are really breath-taking views from the trail with a few view points (miradora in Spanish). After passing a few parking spots it’s just about 20 minutes to the top of Alto de Garajonay. 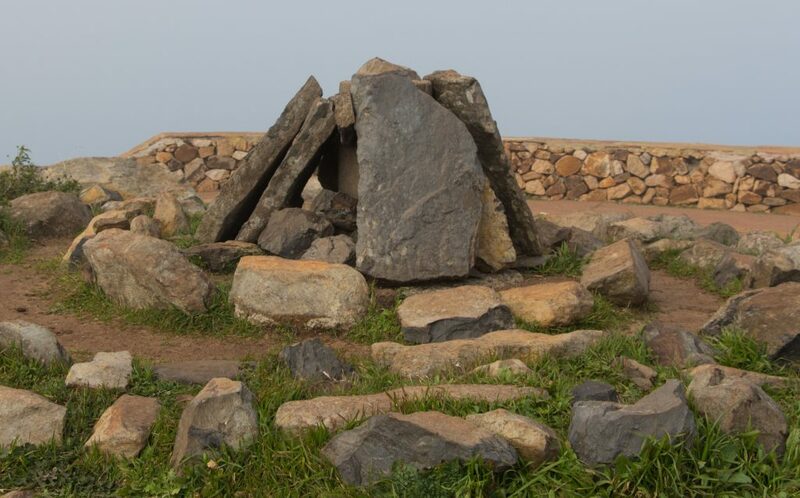 On the top you can find a reproduction of an old Guancha’s ceremonial ground dated back to 6th century. Guanchas used to gather here when they wanted to talk to their gods. 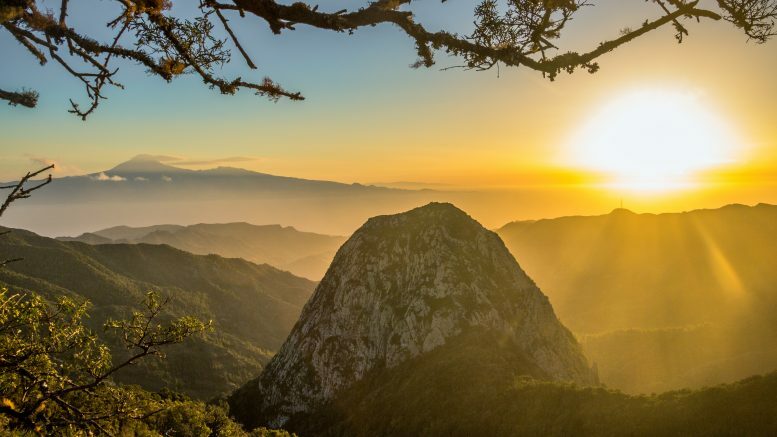 It’s also the place where the last free Guanchas people were hiding from Spanish conquistadors during the uprising in the end of 15th century before they were captured and neither killed or sold as slaves. Yup, same story everywhere. 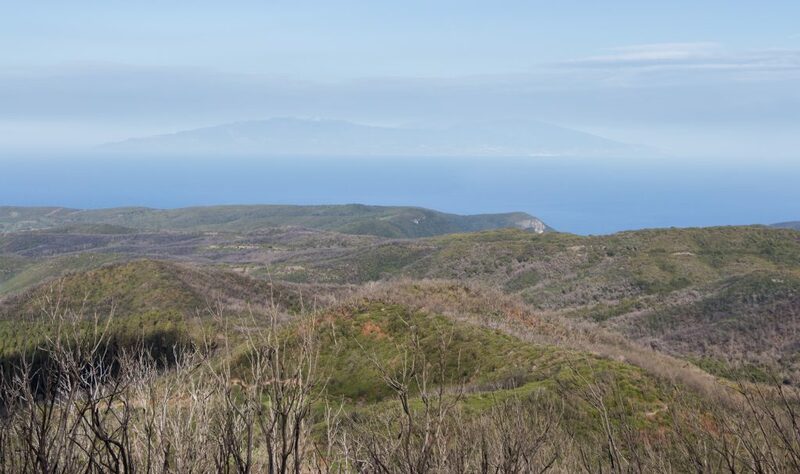 If the weather is good, you can see La Palma and if it’s gorgeous, you can even see El Hierro. Going down back to El Cedro is simply perfect because it’s gradual and steady descent and not that sudden and steep as you’re used to from the local coastal trails. Curtain of trees are leaning over the trail and make you feel special like anyone else can. 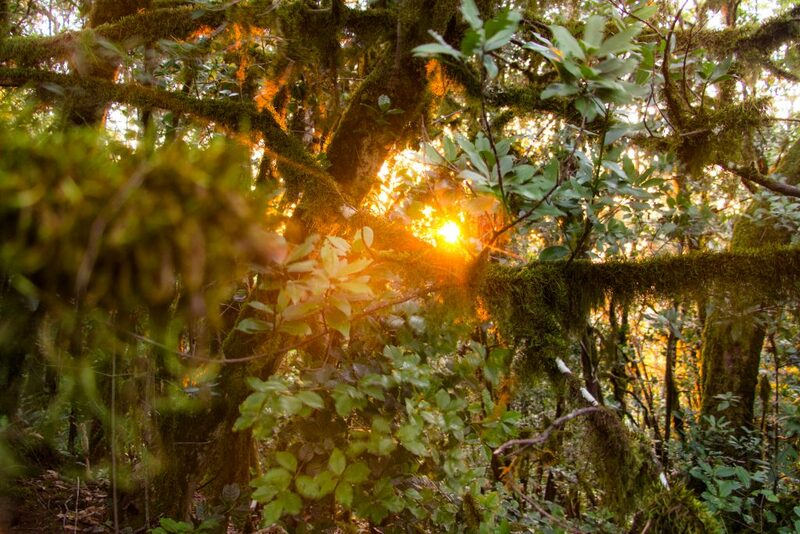 While going down, there aren’t any views to the vast Atlantic waters but who need them when you have laurisilva with carpet of mosses and tall ebony trees along the wild streams? After passing Ermita Nuestra Señora de Lourdes it’s just a short walk back to El Cedro. Local information signs say you need over 9 hours to walk it but I’ve nailed it in 6 including my lunch break, short side trips to the view points and talking to strangers. 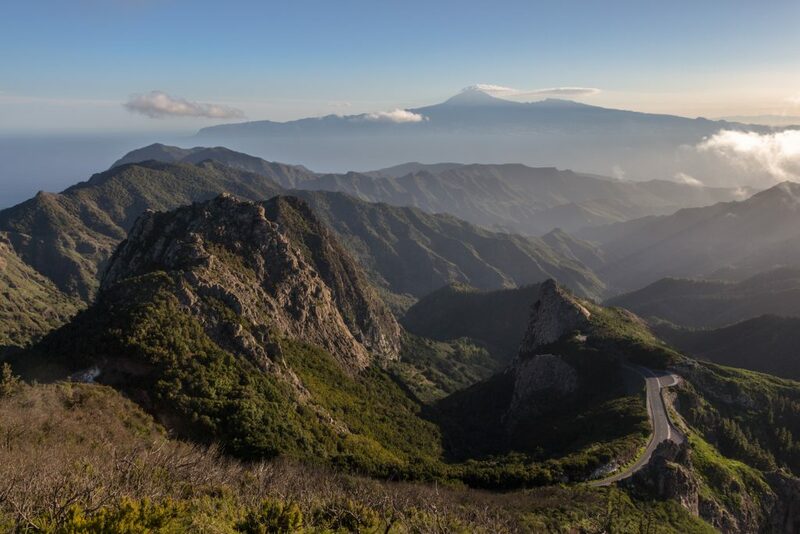 Be the first to comment on "Gran Ruta 18 to Garajonay, the highest peak of La Gomera"